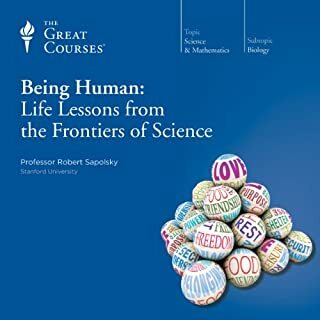 What did you like best about Being Human: Life Lessons from the Frontiers of Science? What did you like least? It isn't utterly horrible. There are some interesting tidbits "from the frontiers of science". However, that's all you get. The prof makes it sound like you are going to embark on a journey that will lead to a far greater understanding of what it means to be a human being. Title should read "Fun Facts from the Frontiers of Science." 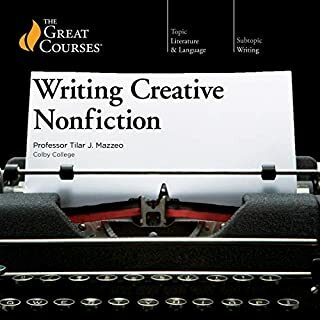 What disappointed you about Writing Creative Nonfiction? In short, she talks to you like you are five. This applies to her cadence, tone, and to the actual course material. I thought this was a "great" course taught at a real university. This seems unlikely. Sure there are some great ones. Who would you have cast as narrator instead of Professor Tilar J J. Mazzeo? Natalie Portman. A duck. Anyone. To be fair, I only listened to the first 15 minutes of this course. If the prof's tone hadn't been that with which you would speak to a group a third graders I would have gone on. Perhaps, content wise, there are some wonderful gems later in the course.